Tom Berkedal openly admits that like most men, he was generally clueless as to the impact and fear women in an abusive relationship experience. It just was not something that was on his radar—until he was invited to attend an event put on by Voices of Men in the Fox Valley—on the east side of Wisconsin. It was an “A-ha Moment” for the father of three daughters. Voices of Men is a men’s accountability group that addresses the fact that most of the victims of sexual assault and domestic violence are women—and about 90 percent of the perpetrators are men. The organization is about calling to action men in the community to step up, accept responsibility for their part in societal misogyny and raise their voices against it. The organization strives to build a ground swell of support to disprove the man box culture; the manner in which society teaches boys to “be a man,” by stifling their emotions, or telling them, “don’t cry,” and many other stereotypes of our culture that have long been held up as examples of “manly” traits. Berkedal, who has moved back to the Coulee Region now, has been assembling a new branch of Voices of Men here. He says support of the new organization has been well received; every one of the 37 members asked to be a part of this leadership team said YES, when asked to be a part of this movement. New Horizons Executive Director, Ann Kappauf is also a member of that team. The work is just beginning. It’s going to take a lot of education if a societal change is going to happen, and that will need to be approached on a comprehensive basis. If youth are going to better understand what kindness, compassion, and acceptance really mean, the best bet to accomplish it is through education at every opportunity. 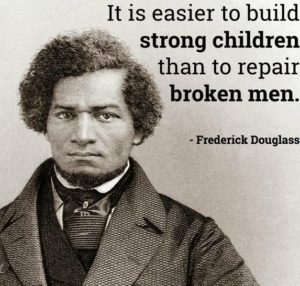 Educating young men to stand up and speak out when they witness behavior toward women that is wrong is the ultimate goal. Engaging men and boys in the fight against domestic violence and sexual assault is a lofty goal, and peer-to-peer education is going to play a big role for this movement to really take hold. Young men are more likely to be impacted when their friends are reinforcing a positive stance on the treatment of women. I’d say Berkedal and the Voices of Men movement is on the right track to do just that.